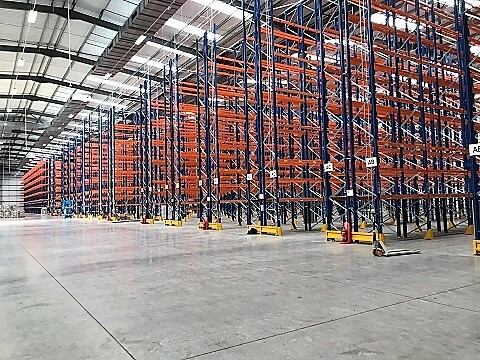 Warehouse Storage Solutions was invited to tender for a 7,500 pallet location Narrow Aisle Pallet Racking project in Leeds. 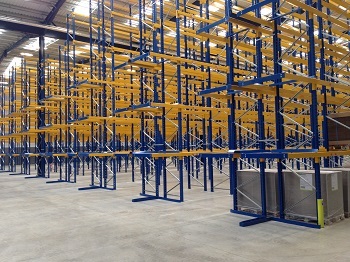 Due to the variety of the products that Samuel Grant store, the tender process involved working closely with the client to ensure that the racking specification suited their various pallet sizes. After a number of designs Samuel Grant awarded the contract to Warehouse Storage Solutions. 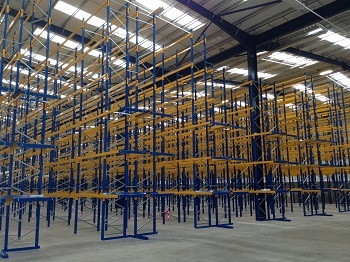 The warehouse was virtually complete by the time the narrow aisle pallet racking contract was awarded and this meant a quick turnaround time was essential. 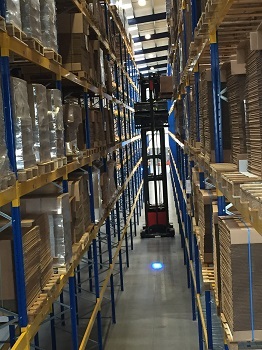 Working closely with the forklift truck supplier and the client we were able to finalise designs and have the racking delivered to site within 4 weeks. The installation period was also 4 weeks meaning that Samuel Grant could start moving products into their new warehouse early. 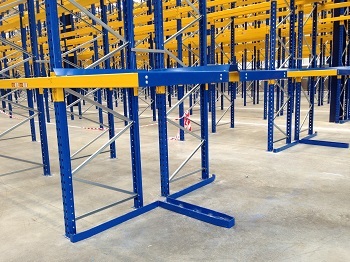 Warehouse Storage Solutions was also contracted to supply, deliver and install column guards, barriers and mesh decks as well as the pallet racking.